The most common coffee and tea additives are dairy and sweeteners. 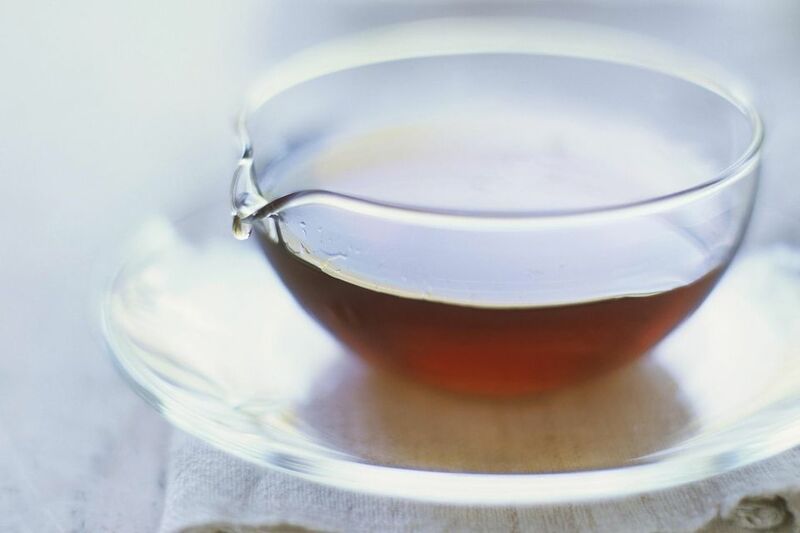 For a sweeter cuppa, most people simply add white sugar, but there are many ways to sweeten coffee and tea, such as honey, agave nectar, molasses, simple syrup and artificial sweeteners. If you have yet to explore these other options, you're in for a sweet surprise. Most sweeteners are easiest to add to hot drinks, particularly dry sweeteners like sugar which dissolve quickly under the heat. If you’re sweetening iced coffee or iced tea, try sweetening it before you chill it or use a liquid sweetener, such as honey, agave nectar, and simple syrup. As with many things, less is more when it comes to sweetening coffee and tea. If you find that a large dose of sweetener is as much a part of your morning beverage as the drink itself, try switching to a higher quality coffee or tea and reducing the amount of sugar you add. You may find that the flavor of the beverage stands on its own with little or no sweetener. Sugar is the most common sweetener for hot coffee and tea. Different types of sugar have different flavor profiles. For example, brown sugar has a deeper, richer flavor than refined sugar. If you’re interested in exploring more unusual sugar profiles, try Indian jaggery. It's an unrefined sugarcane sugar that is great with masala chai or coffee. Some people prefer sugar that is shaped, such as rock crystal sugar (aka rock candy), which may come in rectangular prisms or be attached to stirring sticks in a geode-like form. Honey is a popular sweetener for tea and iced coffee and tea drinks. It’s also used in the Spanish Café con Miel (“coffee with honey”). As with sugar, different types of honey have different flavor profiles. Clover honey is the most popular, in part because of its relatively neutral flavor profile. Tupelo honey has a buttery, mellow, smooth flavor that is exceptional for tea. Many coffees can take on the bolder flavors of wildflower honey. Some people select honey as a sweetener for its reputed health benefits. If you prefer honey for health reasons, be sure not to boil it as you prepare your coffee or tea, as this decreases its efficacy. Some coffee shops offer different types or flavors of honey in small “sticks”. Agave nectar is another natural sweetener that has found widespread popularity in a variety of drinks. It has a taste that is between honey and molasses and it’s great with stronger teas and many coffees. Since it is a liquid sweetener, it’s ideal for iced drinks. Molasses has a bold, deep flavor that is suited to Brazilian, Kona, and Colombian coffees. Like honey and agave nectar, it is a liquid sweetener, so it works well with iced or chilled beverages. Whether it’s in juice, nectar, or pureed form, fruit can be a flavorful and natural way to sweeten coffee and tea. This works especially well for coffee or tea smoothies. Yet, it doesn’t have to be anything so elaborate—lemon (which is both sweet and tart) is commonly added to tea. Stevia is a newer sweetener on the market. The SweetLeaf brand is made from an extract of the sweetleaf plant and is generally considered to be a natural product. It has a flavor that some find to be smooth, while some (notably supertasters) find the aftertaste to be bitter or licorice-like. Quite a few companies make stevia and with any of them, it's best to choose bold-tasting coffees and teas. Simple syrups (aka “sugar syrups”) are simply solutions of sugar that have been boiled in water. Plain simple syrup has a neutral flavor that works well with most coffees and teas and there's no need to worry about dissolving sugar. Simple syrups can be flavored easily with the addition of ingredients such as fruits, herbs, and spices during boiling. As the name suggests, it's easy to make your own simple syrup. Pair flavored syrups with coffees and teas based on the flavor profiles of each. Corn syrup (and high-fructose corn syrup) is commonly used as sweeteners in “ready to drink” (bottled/canned) coffees and teas. There is some health controversy over the use of corn syrup as a sweetener and whether or not products containing corn syrup should be labeled as “natural.” It's not the best sweetener choice for your casual cup of coffee or tea. Unless a recipe calls for it specifically, use one of these other options. Artificial sweeteners, such as Splenda, Equal, and Sweet-n-Low, are also used to sweeten coffee and tea. They tend to be more popular amongst calorie-counters and people with diabetes or other sugar sensitivities than they are amongst the general populous. That's because they often have an unpleasant aftertaste and getting used to that taste after years of sugar takes dedication. These are best in strong-tasting coffees and teas.